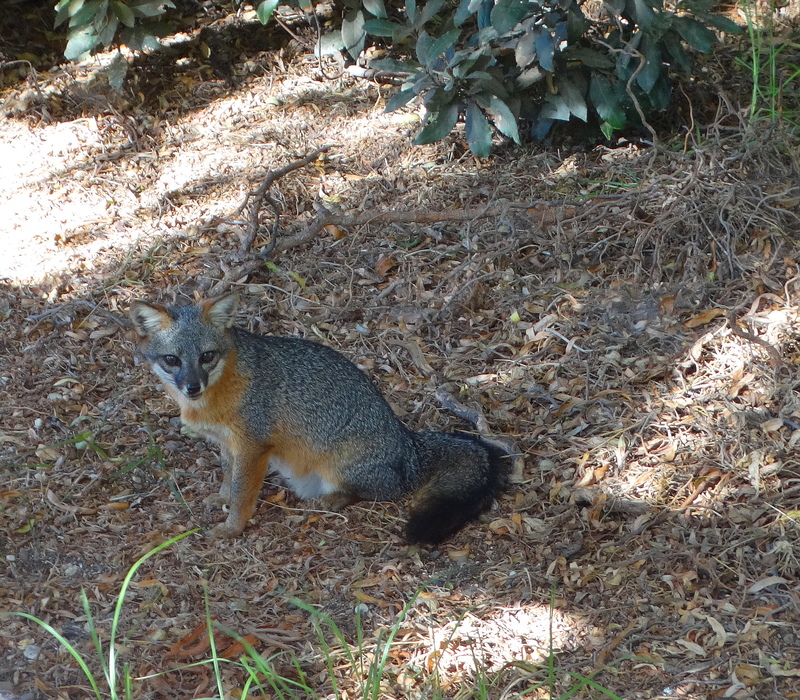 Playing with Channel Island Foxes! Oh my! Somedays are just OH my days. 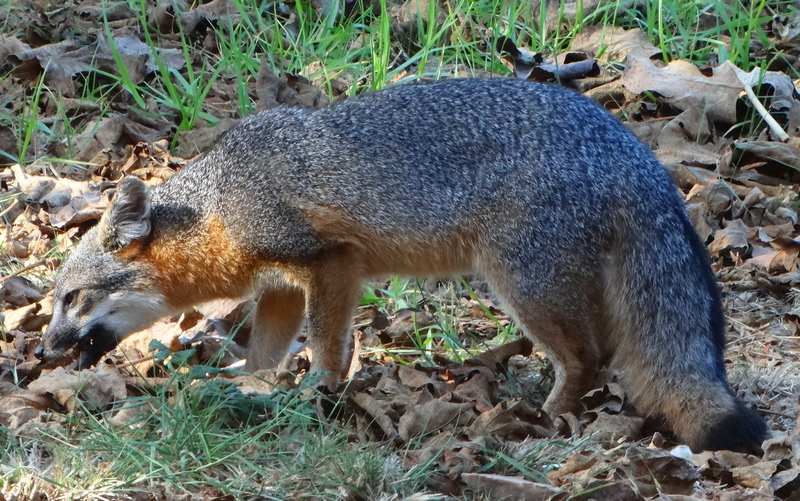 I have seen about five foxes in my life, in Alaska, Canada, Wyoming and The Holler. 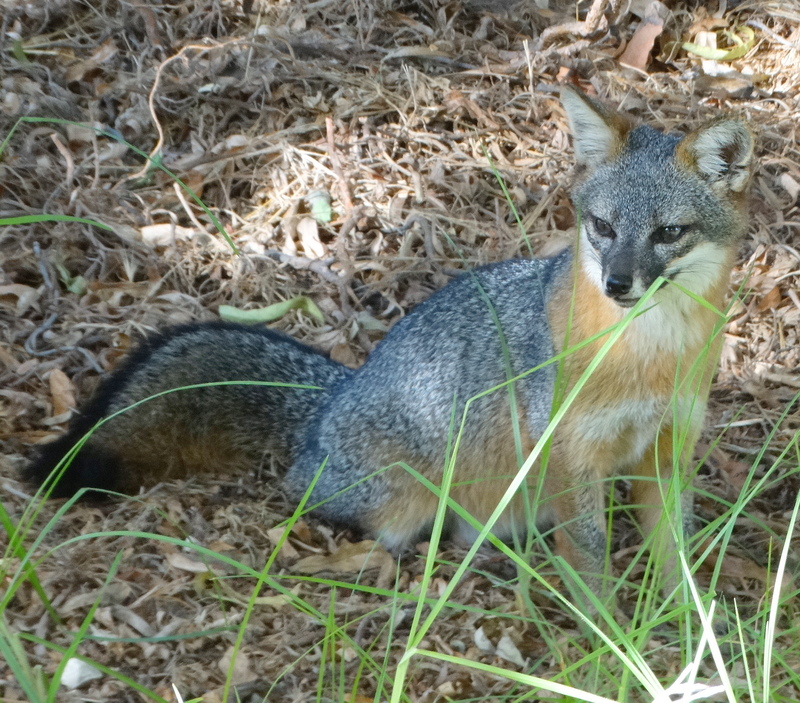 I was on Santa Cruz Island before and saw the Channel Island foxes, a very unusual species that live only on the Channel Islands, no where else in the world, but I wasn’t really taking photos then. So back I went to see them again and try and get their photos. 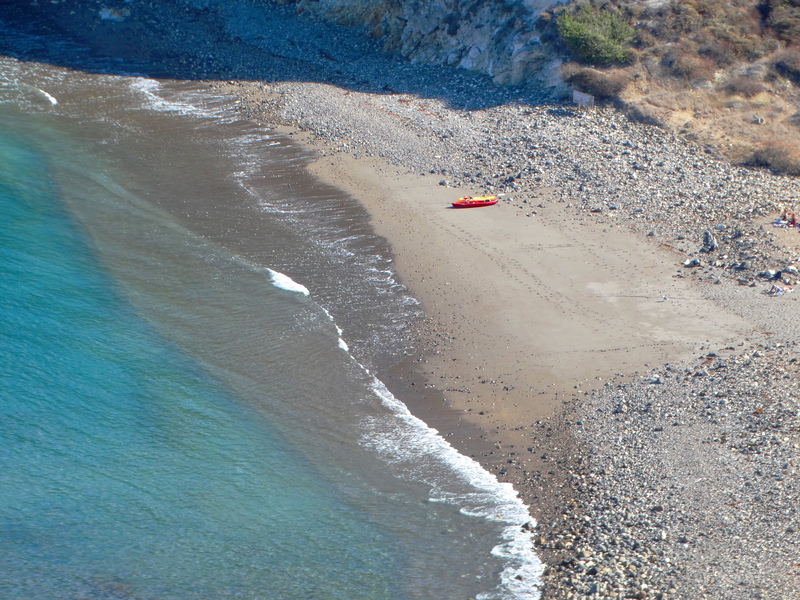 We hiked all over stunning Santa Cruz Island, and I firmly believe that since I was seeking, I didn’t find. 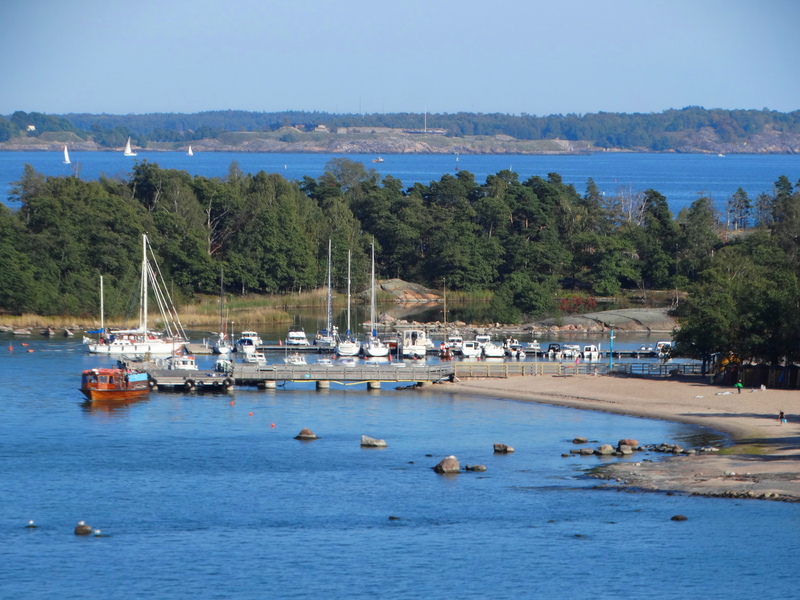 It was an hour until the boat left and I had already been waiting in the place I had seen them before for about an hour. Silent, still, waiting. When, at last, the first fox came out. She scuttled along this open but submerged ditch that I am guessing she built that led from her den. 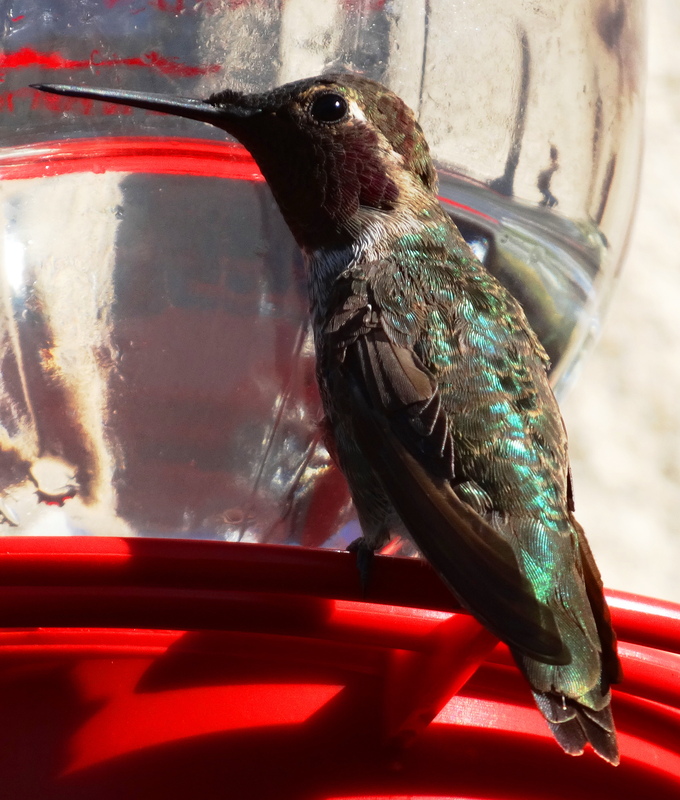 She was surreptitious at first, but quickly got braver. This is the second fox. This one was bigger and I assume (with no knowledge to back me up that this was a male). The friendly first one again. This is the third smaller one. She (or he) got very close as long as I didn’t move a titch. I have so many more photos of this unique species. 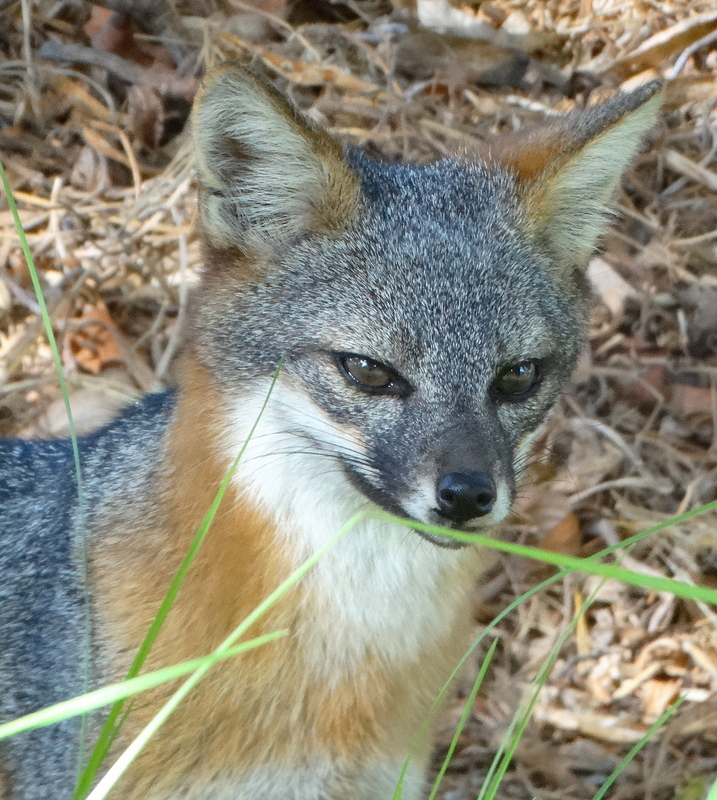 They are 1/3 smaller than the North American Grey fox. 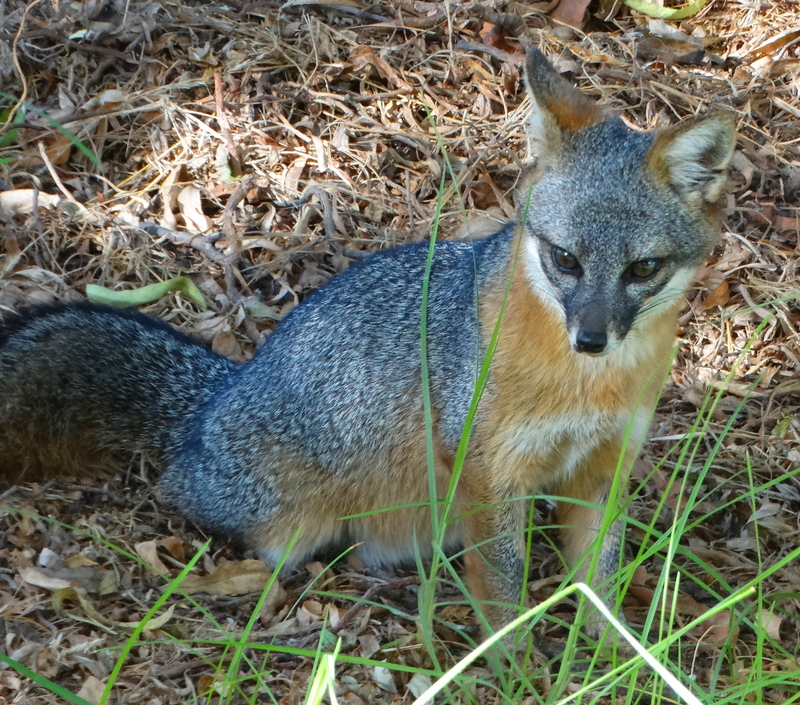 Channel Island foxes live on 6 of the 8 Channel Islands. 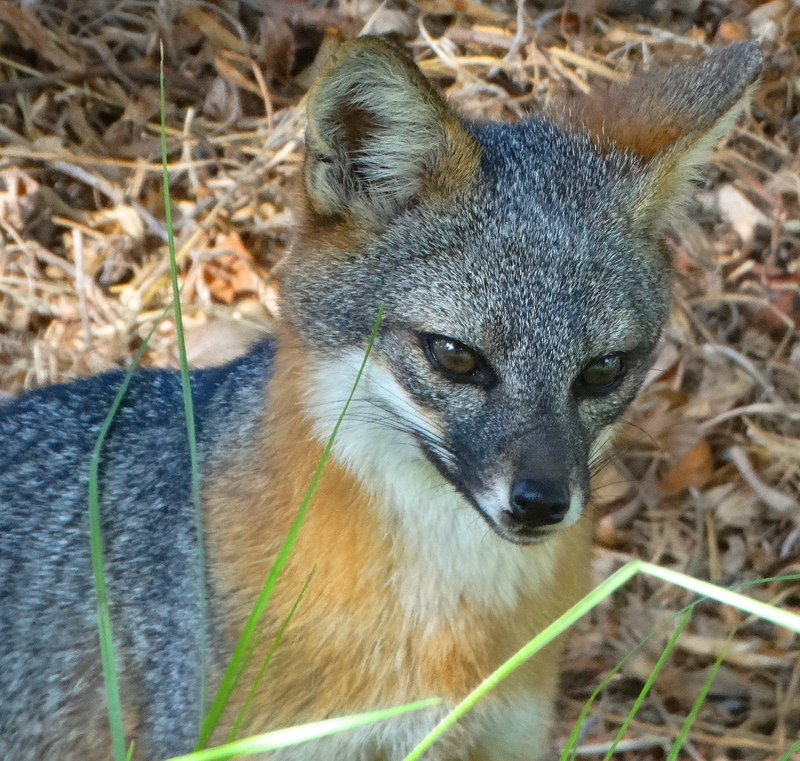 Each island has a separate endemic fox species. 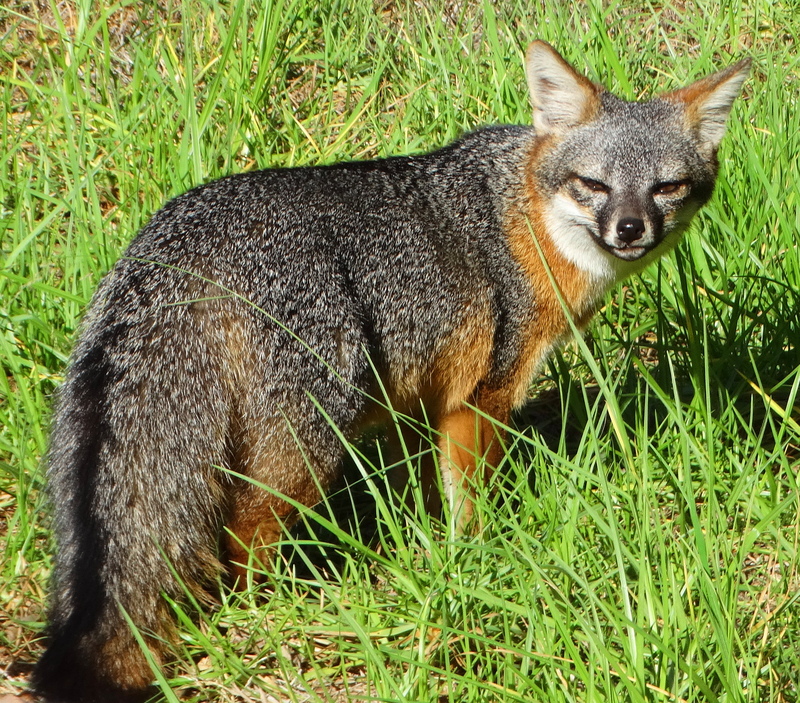 Current thinking seems to be that these island foxes rafted over during the last ice age about 10,000- 16,000 years ago. They are very protected here. I am speechless. They are remarkbale. I forget to mention. 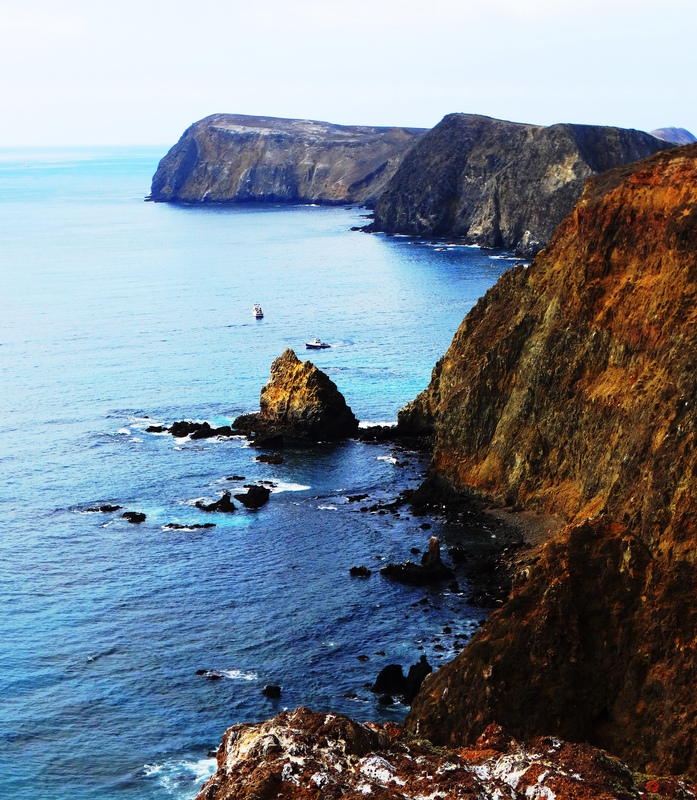 Santa Cruz Island is ethereal. Okay so we’re not at The Holler, but we’re not on a trip either…… not exactly. We’re just heading up to NoCal to rendezvoux with the kids. A family visit, not a trip. 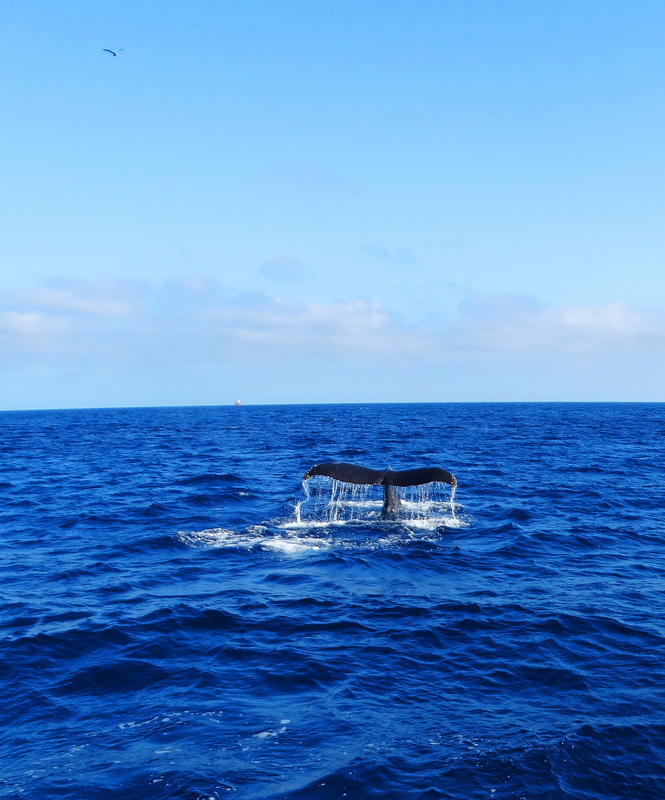 But, since we were driving…..we stopped at Channel Islands National Park to play with the Blue Whales, and dolphins and humpbacks. I kid you not. Next time you feel like going to Sea World to see some marine mammals. Don’t. Save money and save animals. 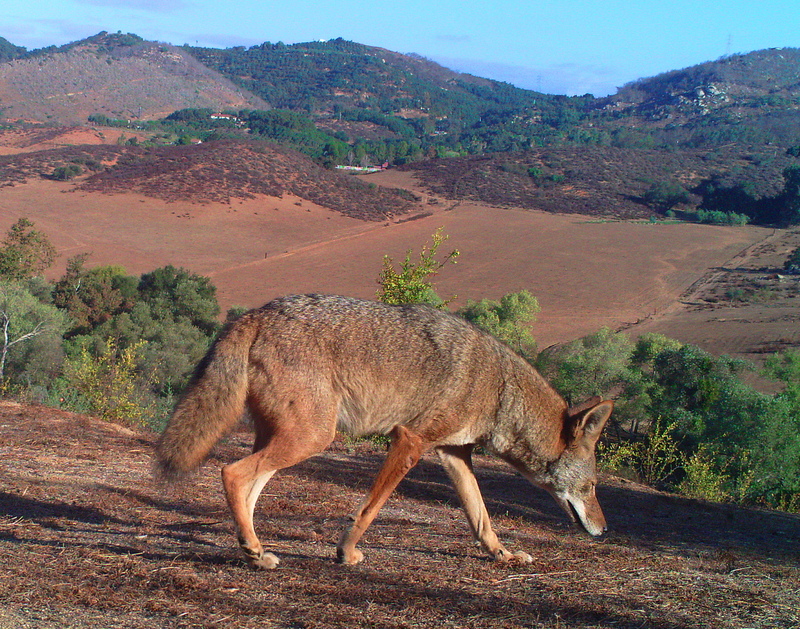 Go see ’em in a protected national park, in their natural habitat. Here they play with you……by choice! 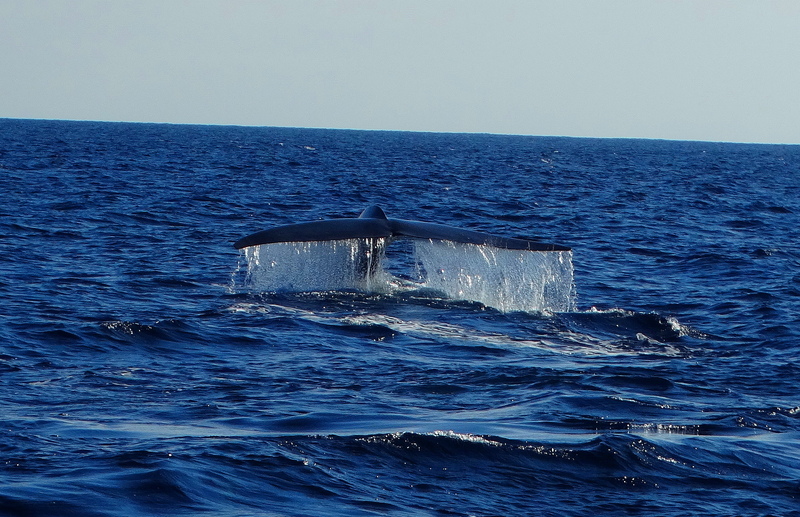 I have never been so up close and personal with blue whales. 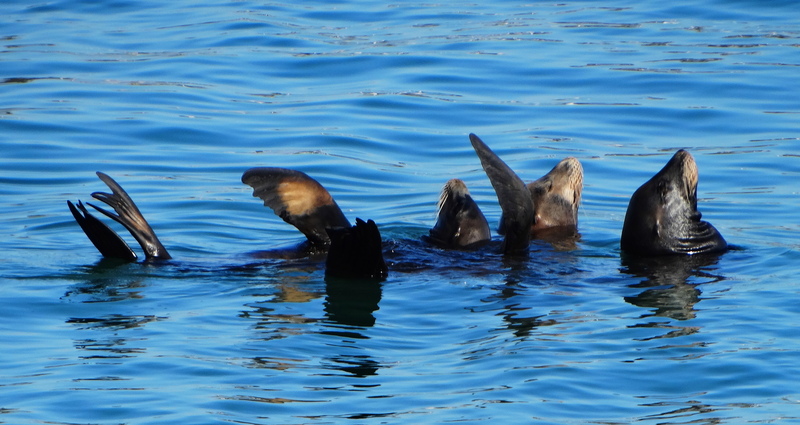 They were all over the Santa Barbara Channel today. Swimming upside down under our boat and spraying us with spouts. 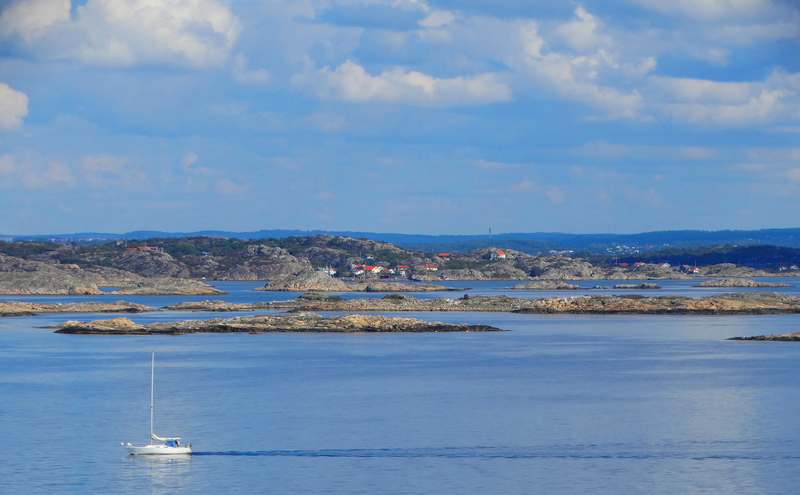 I’ll post more pics soon, and tomorrow we head out again to a different island! You may have heard blue whales are big. The biggest creatures on the planet with tongues the size of African Elephants. But who knew they liked to play with people? The humpbacks were playing too, several of them. What a major thrill! This makes Sea World look like what it is, a bunch of concrete, chlorinated swimming pools full of captive cognizant cetaceans. 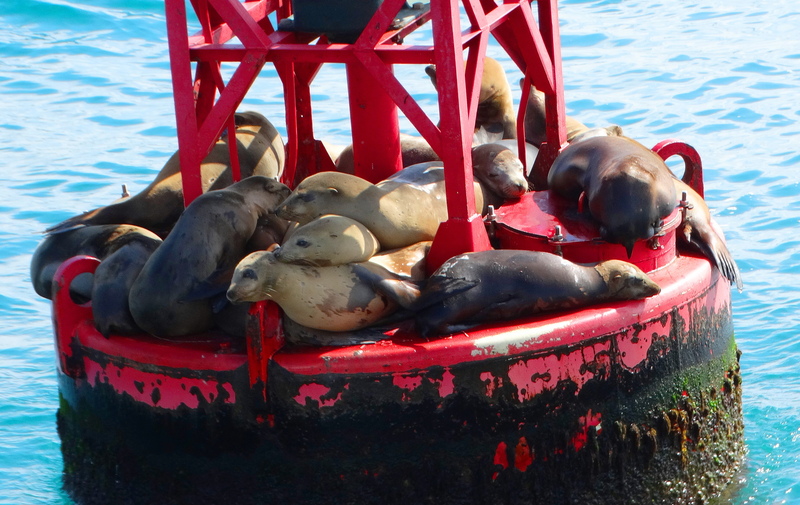 We also saw sleeping pods of sea lions. 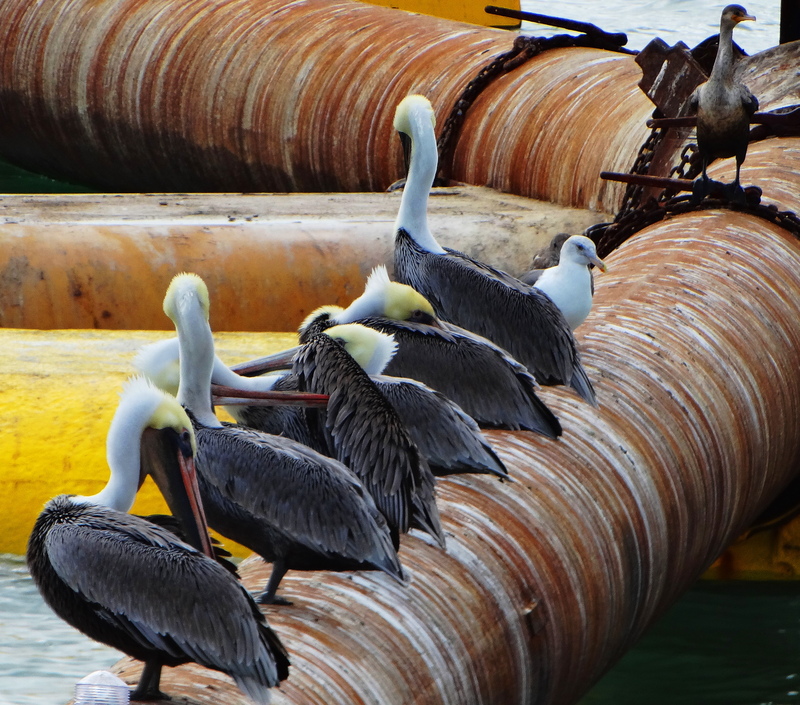 And drowsy, daydreaming Pelicans. There were so many more incredible critters! 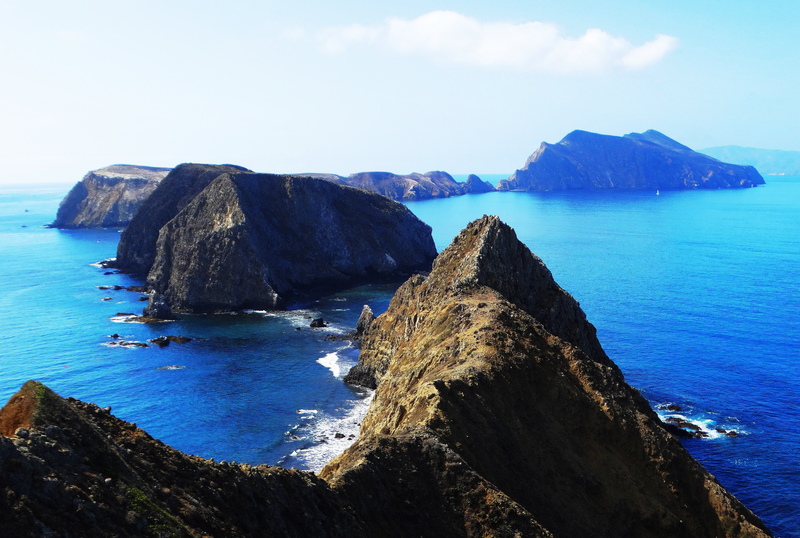 We spent all day on Anacapa Island, one of the five islands in Channel Islands National Park. 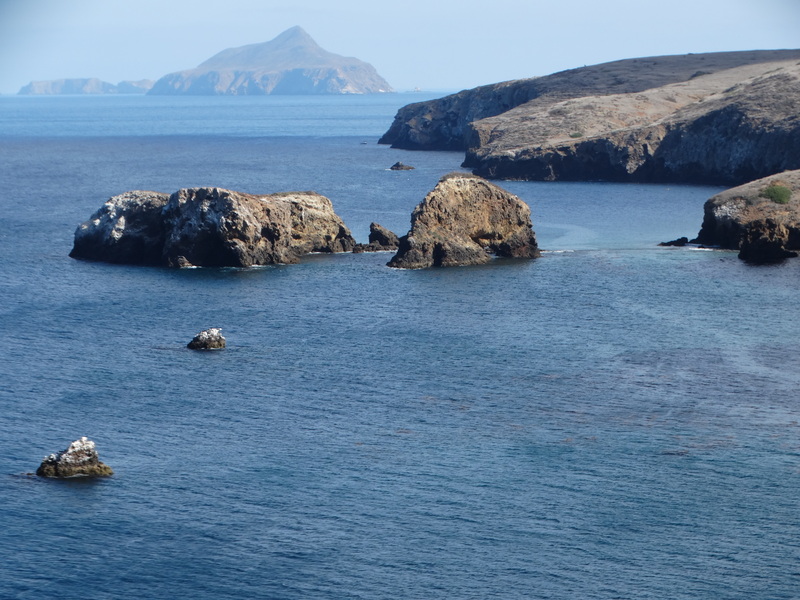 Anacapa is composed of three interconnected islets. 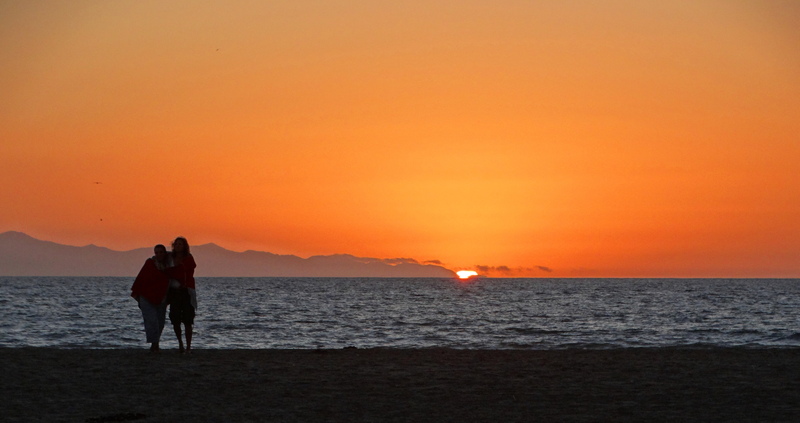 The islands are similar to the Galapgos in that evolution has proceeded independently of the continental US. As an odd aside, today we saw both Brown and Blue Footed Boobies, birds most frequently seen in the Galapagos and not normally present here. 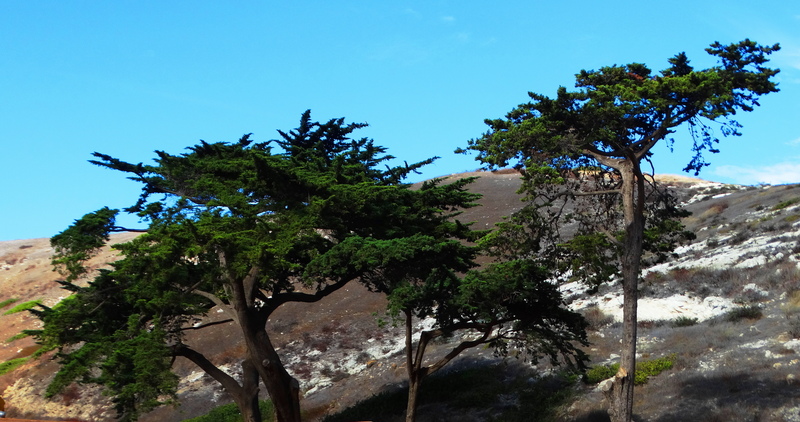 There are 145 plant and animal species found only on the Channel Islands and nowhere else in the world. 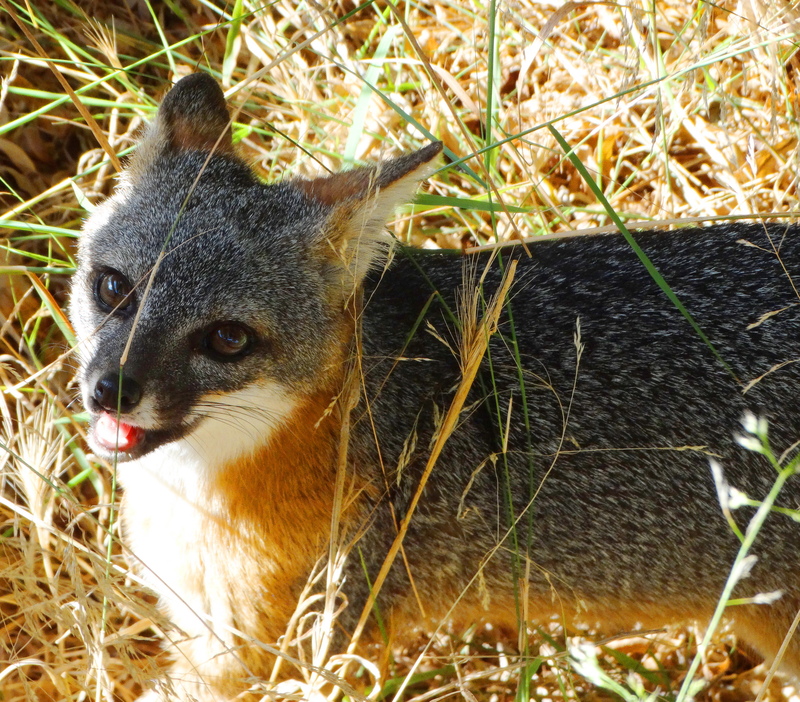 Tomorrow we go in search of the Channel Island Foxes so please stay tuned. We have seen them before. They are small, one of a kind in the world, and very, very friendly. They have no human enemies. Imagine that! 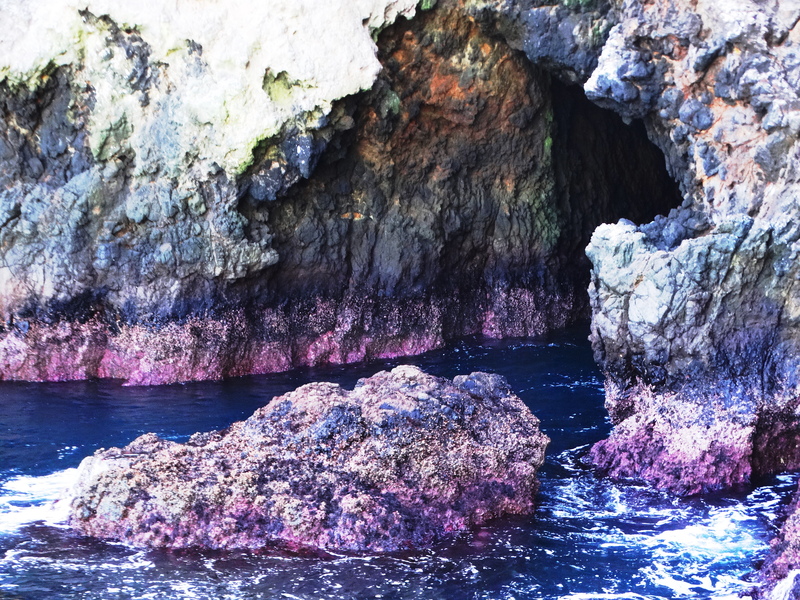 The Channel Islands have painted caves, named by the colorful sea algae that make them look like Gauguin painted them! 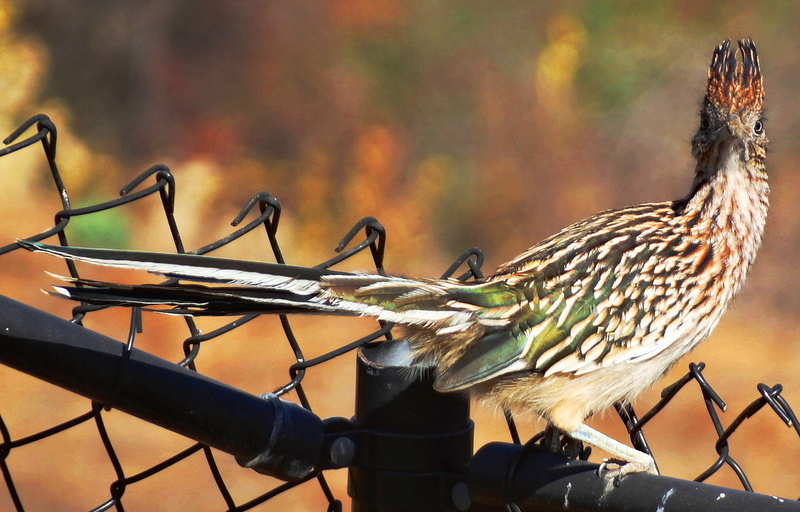 The wild critters seem happy we are back at The Holler. They staged quite the homecoming! Even Wiley E. came out in broad daylight, sashayed by, and winked at me and I have the pic to prove it! Look how fat and healthy he is! I don’t even want to think about what he’s been eating. He’s not too shy is he? 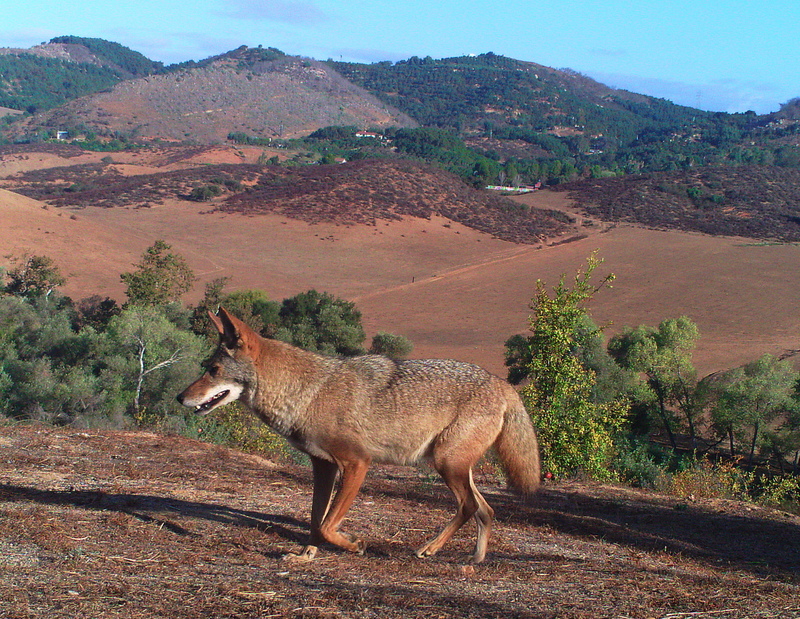 And what big teeth you have Mr. Coyote! This is a different Wiley. Possibly a Willette. We have lots and lots of Wileys and Willettes at The Holler. Beep Beep is always content snooping around us. He is a hobbyist human watcher. He doesn’t even pay attention to Wiley E….. Smart Beeper. 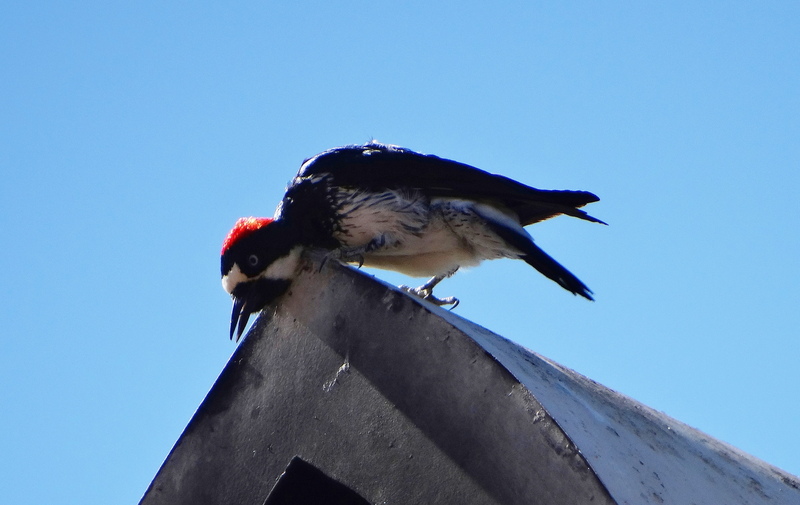 The shy little woodpecker even dropped by to say hello! 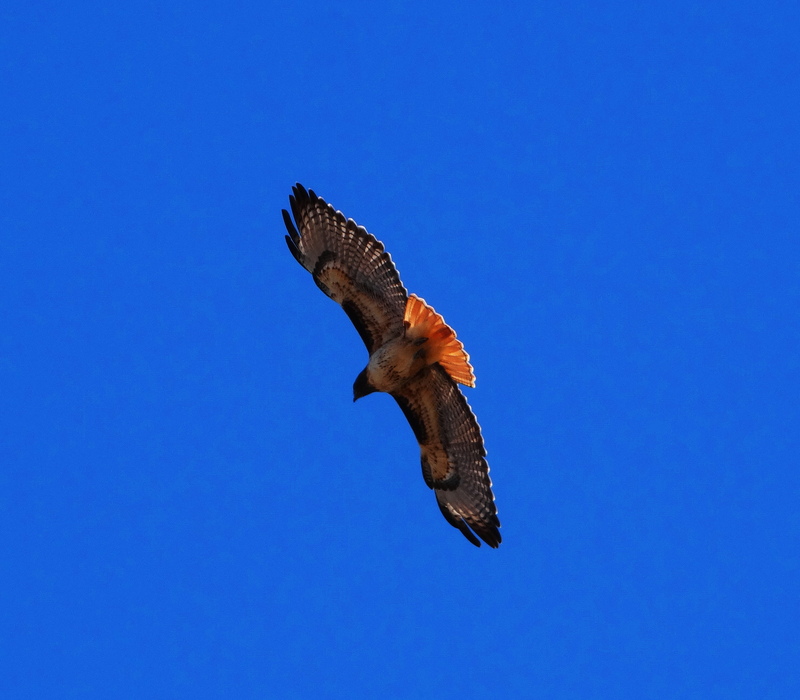 After six years I have finally learned to make a credible hawk call. I called, they came. Or maybe they were just flying by. But I think they respond to my call and it confuses the ravens too. They keep looking for the hawk on the ground! 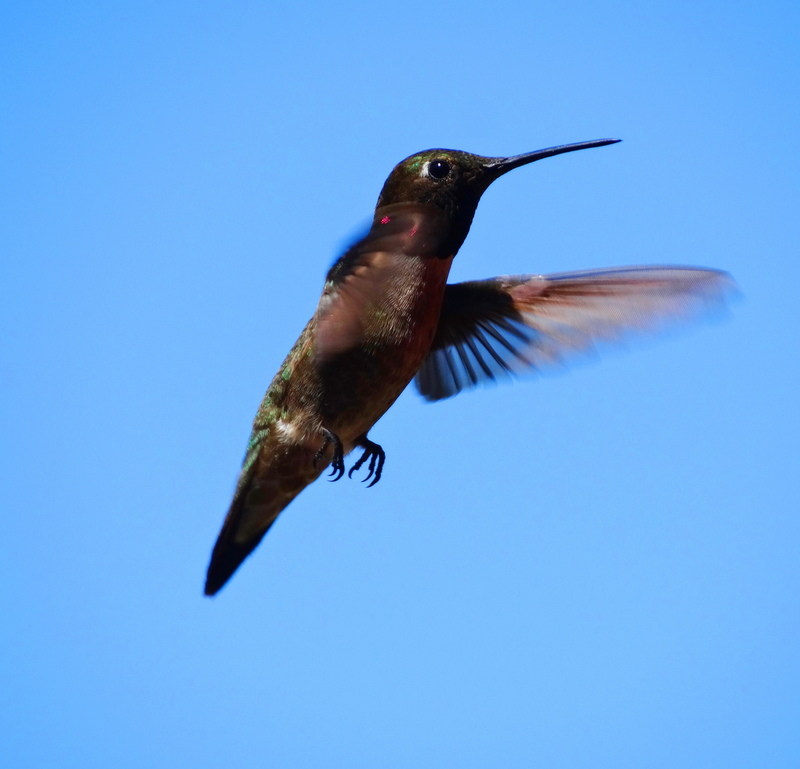 And of course The Holler Hummers. I miss them so much when I am away. Europe is incredible but they don’t have Wileys or Beeps or Hummers. 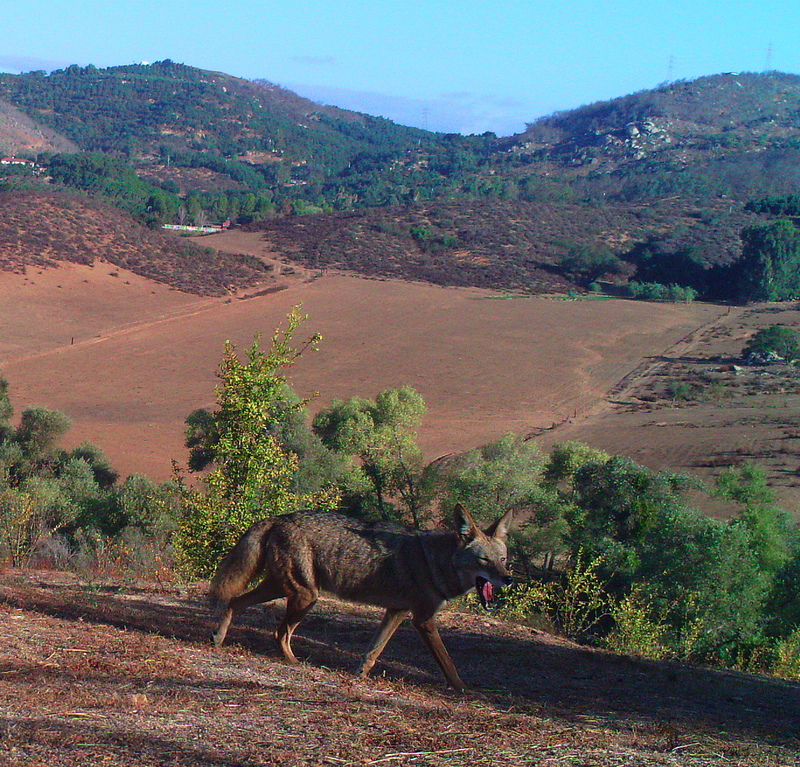 Wild animals just make the very best neighbors. I like having them on my HOA! And The Holler? 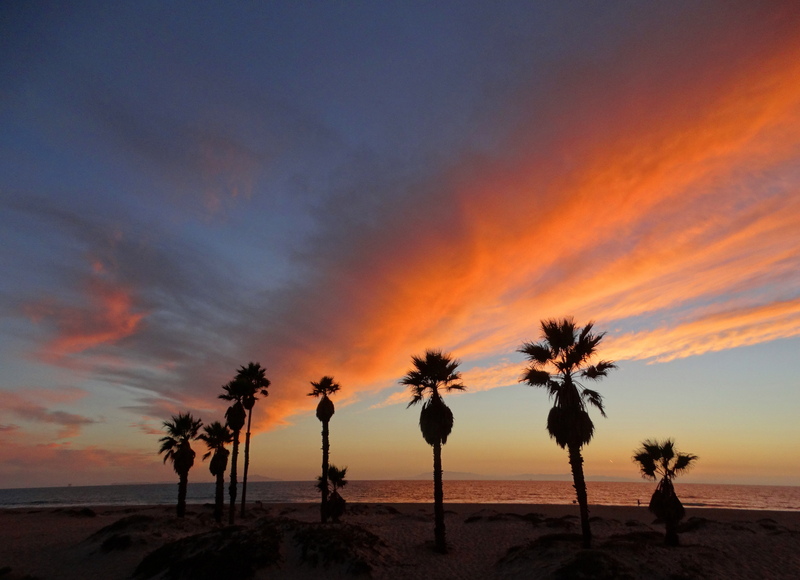 Well it is rural, rustic, and in a horrible drought, but even so, it is awful purty. 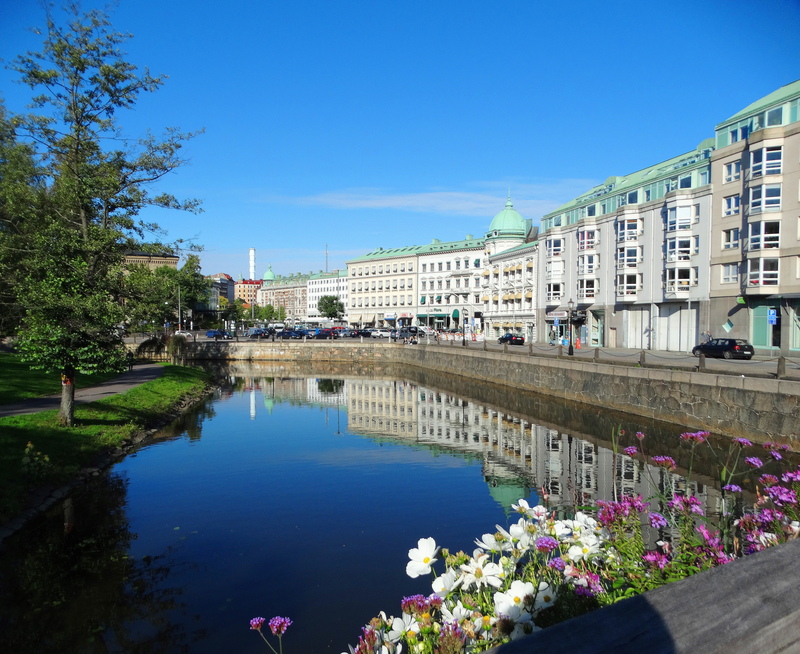 Goteborg is a Swedish gem. 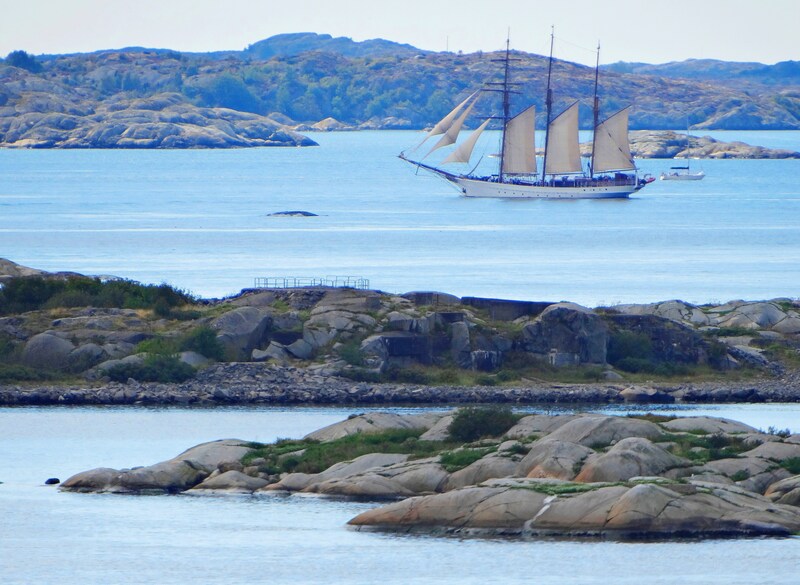 especially when tall ships sail by! 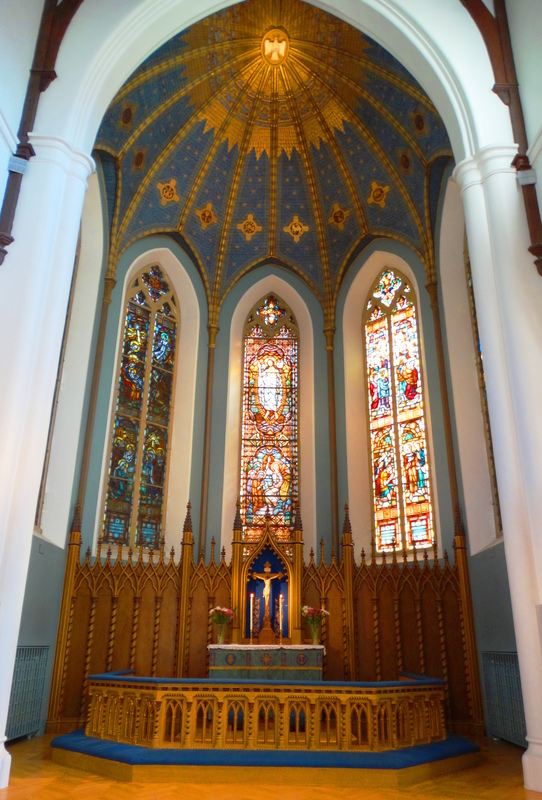 Of course there are beautiful churches. 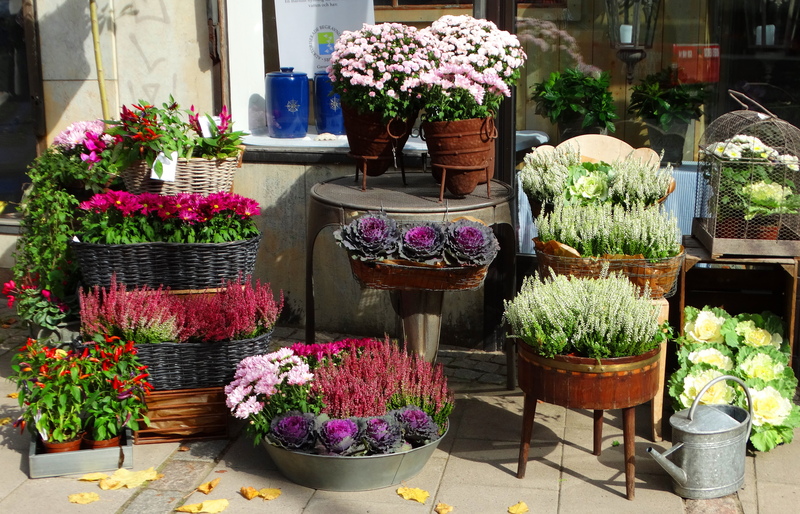 The Swedish love flowers and they are everywhere, like here in the square, in the small, friendly, town of Nynashamn. 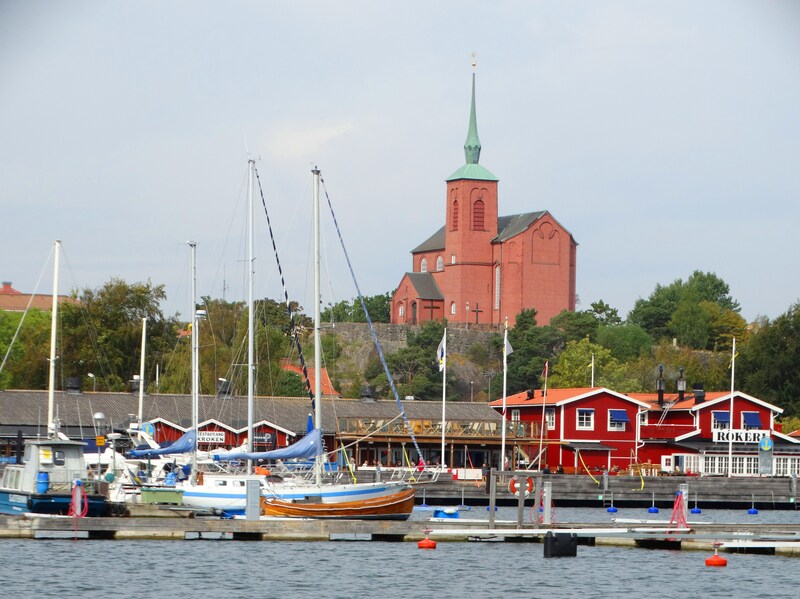 Nynashamn is a charming fishing town with the Church built to protect the town. 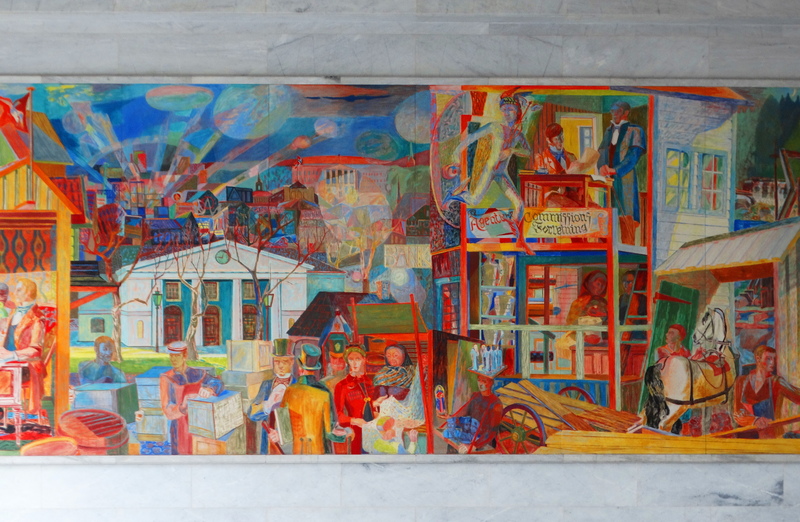 Oslo’s radhus or town hall is covered with phenomenal artwork and murals. 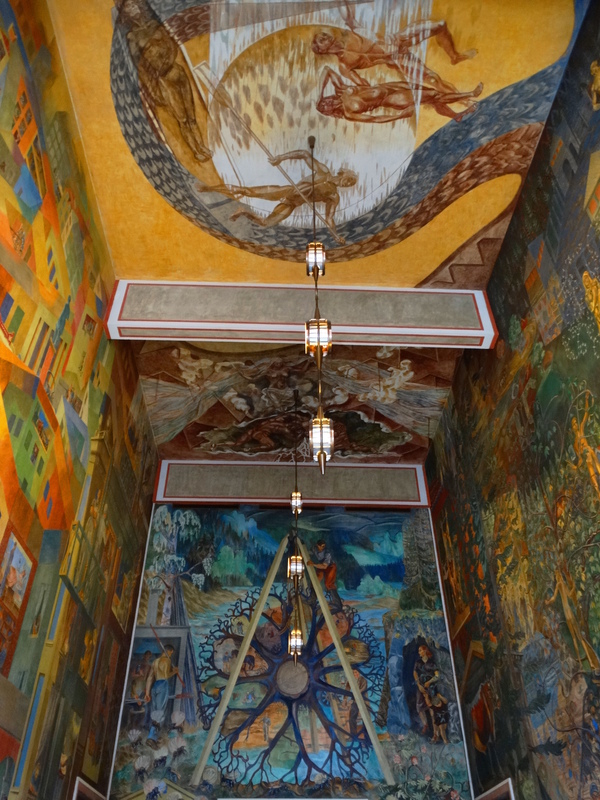 The artwork decorating the inside and outside of the radhus depict scenes from Norwegian legends and history. 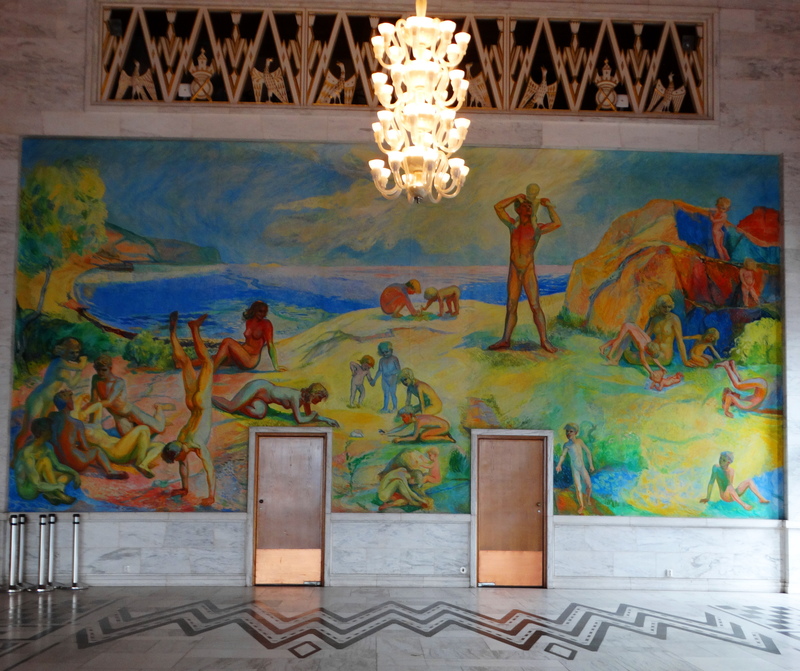 The murals were painted by Henrik Sorensons. 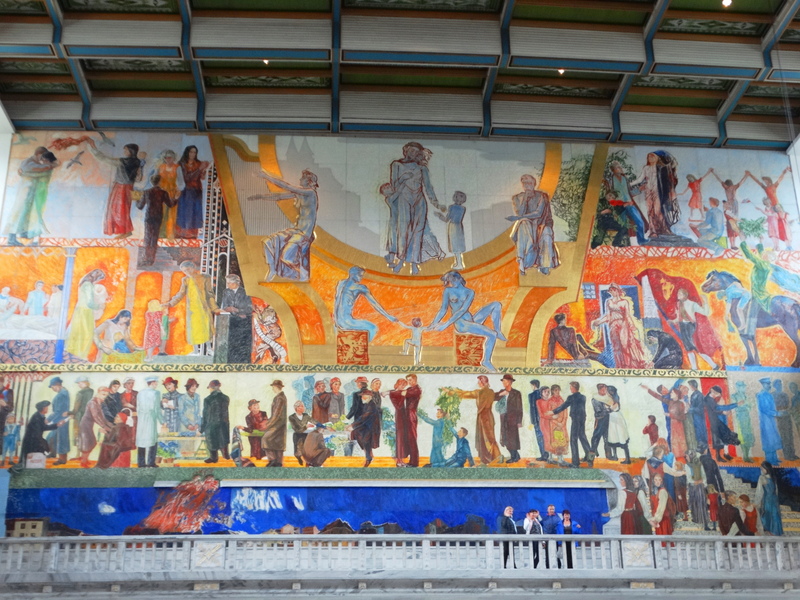 The hall is famous for hosting the annual Nobel Prize ceremony each December 10. 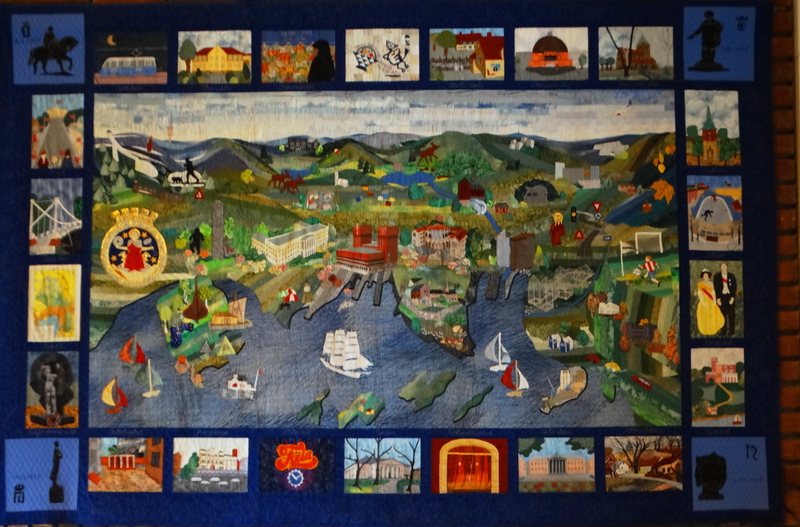 In addition to the murals, there are wood-carvings, ceramic art, and quilts. 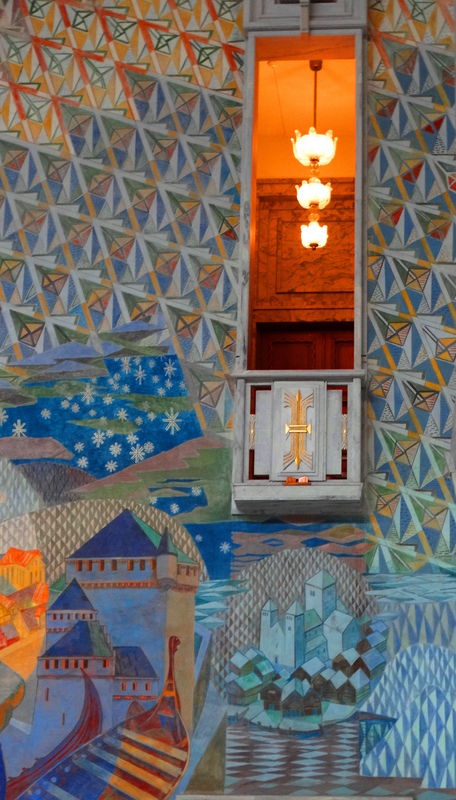 The hall also has mosaics and gorgeous marble. 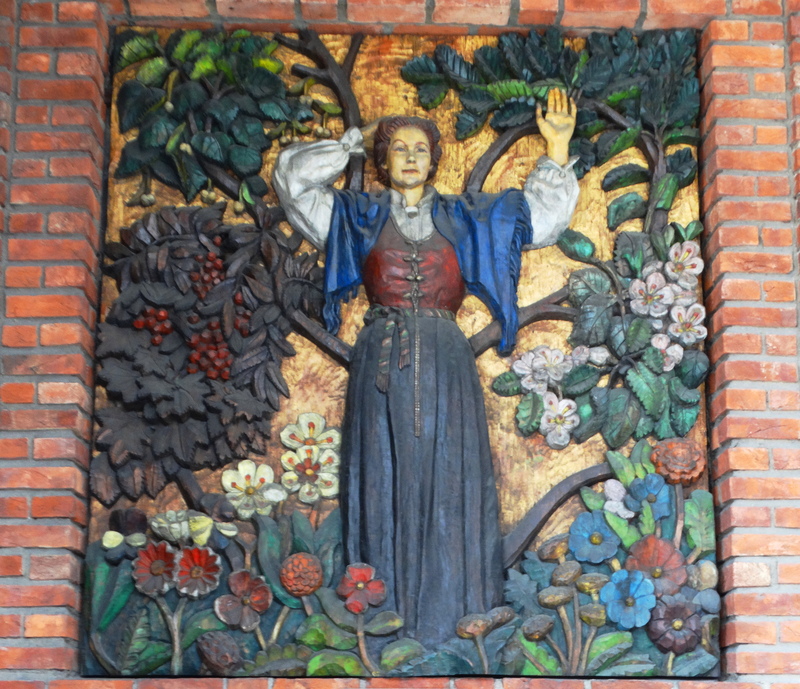 One of the many painted, carved-wood pieces waving and sending you cheers from Oslo’s glorious radhus~. 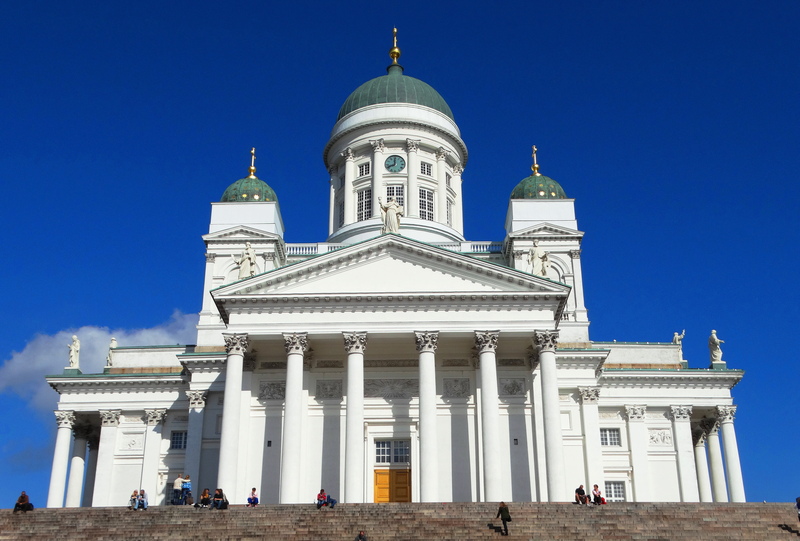 It took us awhile to meander over to Finland. 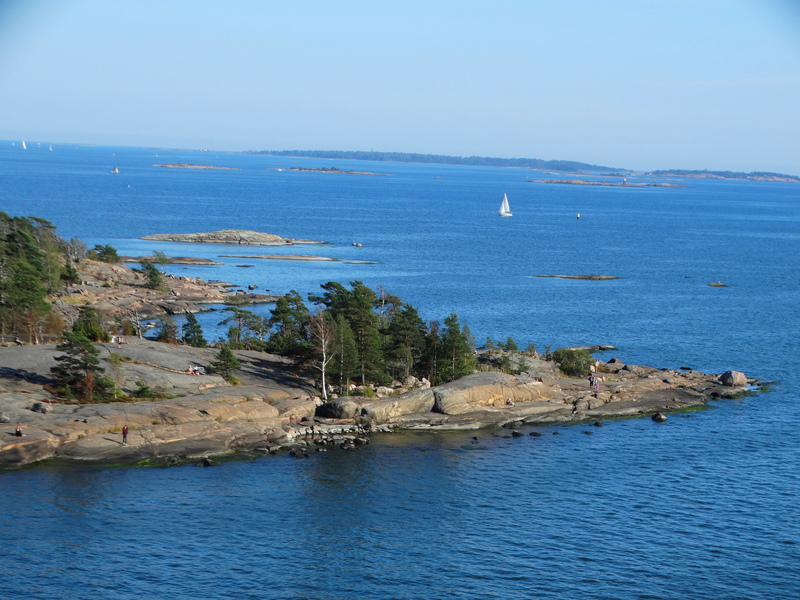 All I can say is, we should have found Finland sooner! 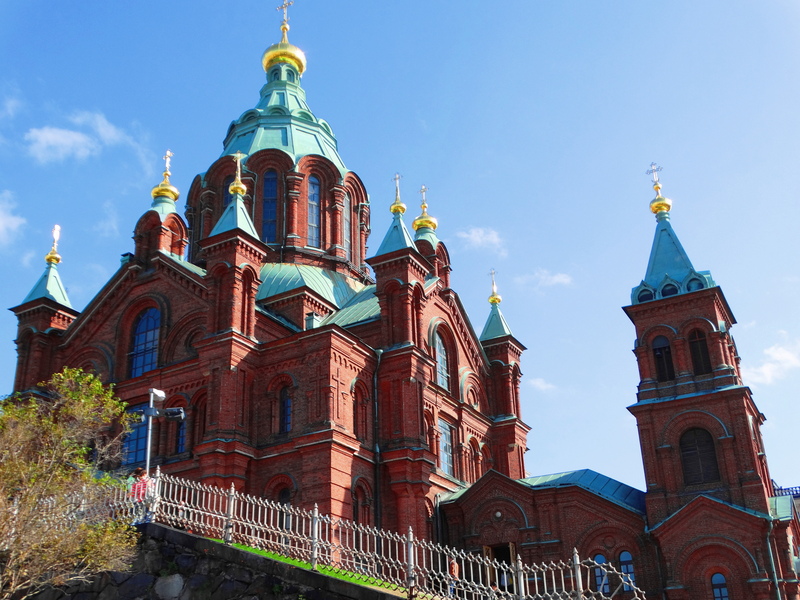 There is wonderful Hanseatic, Classical and Orthodox architecture. 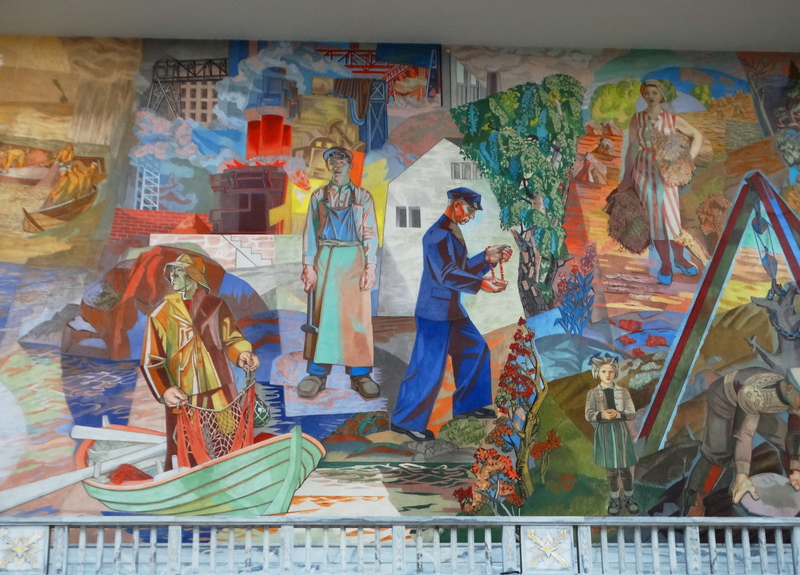 There were a lot of street artists and musicians in Helsinki. 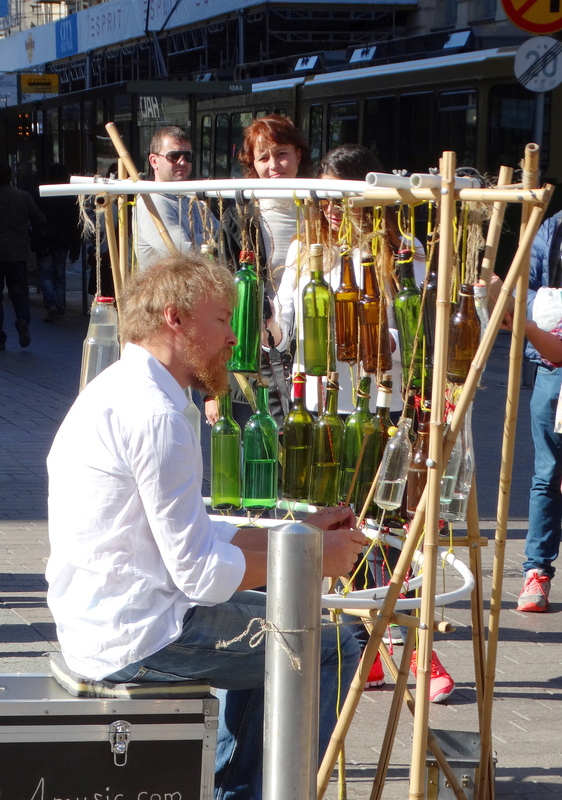 This musician made beautiful music with his wine bottles! 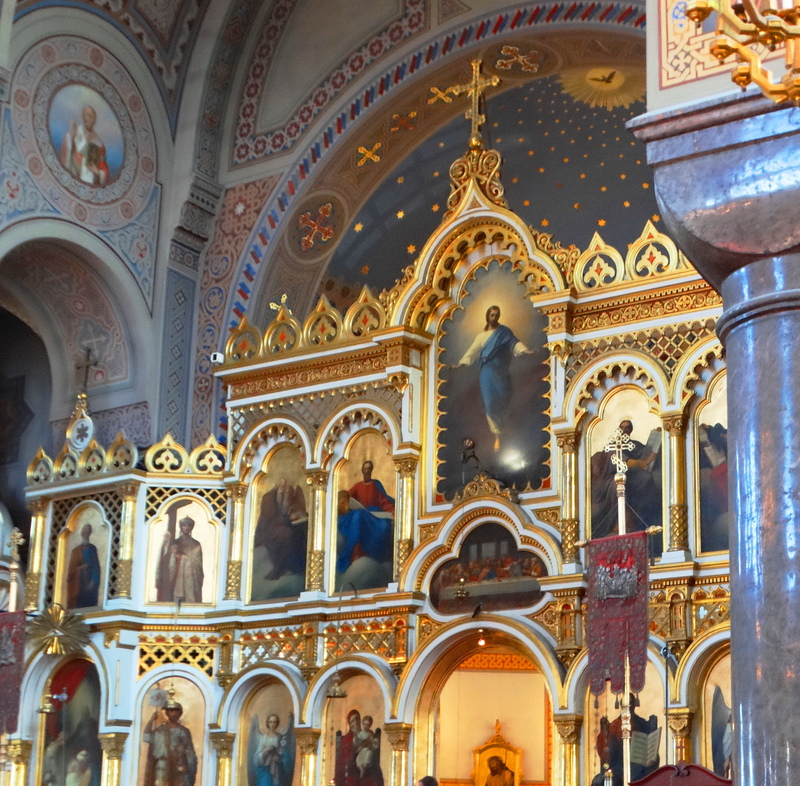 Like most of Europe, there are beautiful cathedrals. 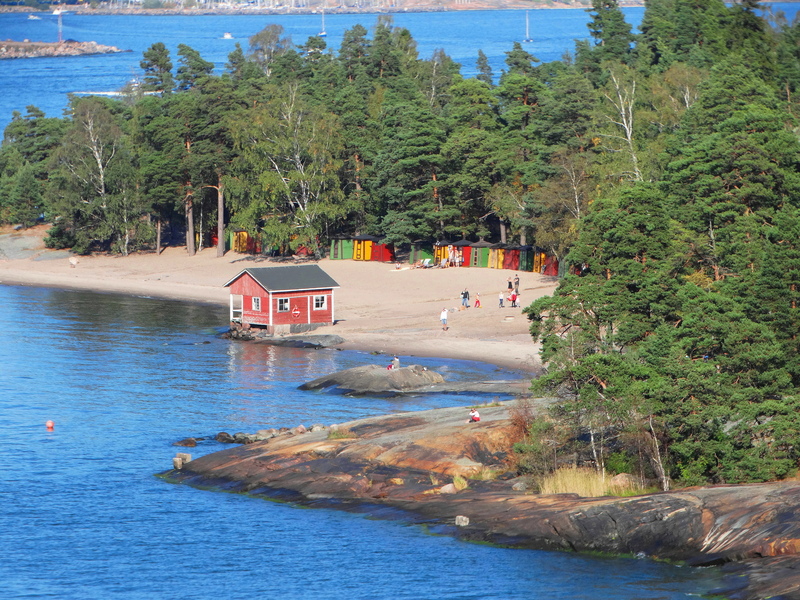 If you have the chance, I definitely recommend you find Finland too!